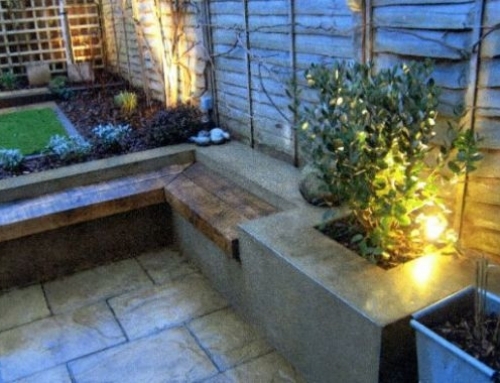 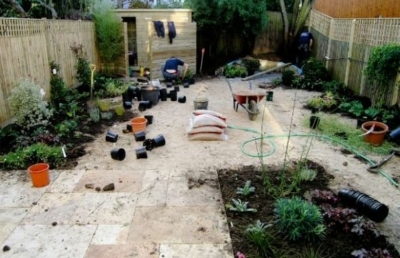 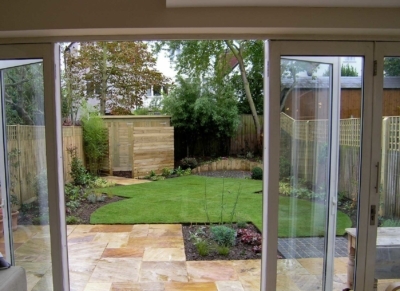 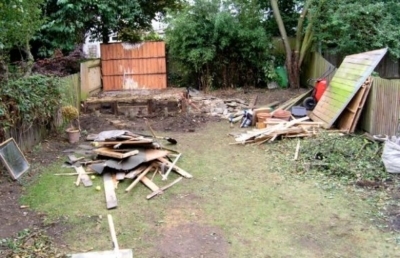 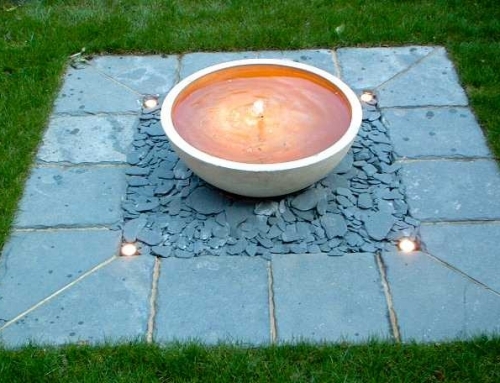 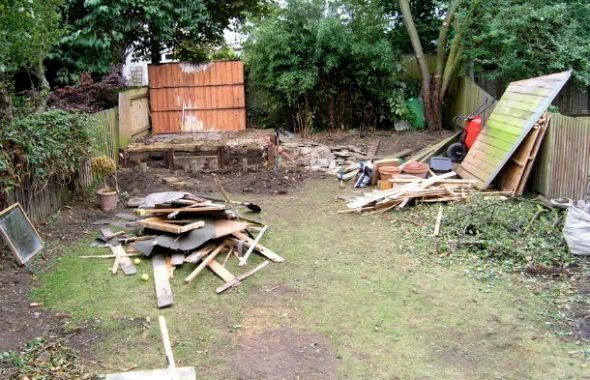 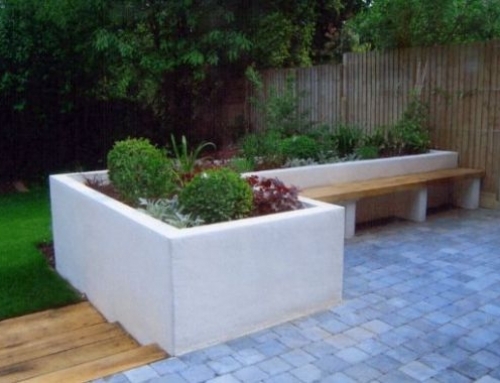 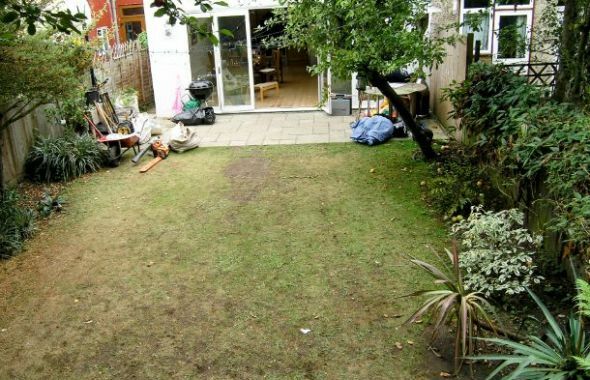 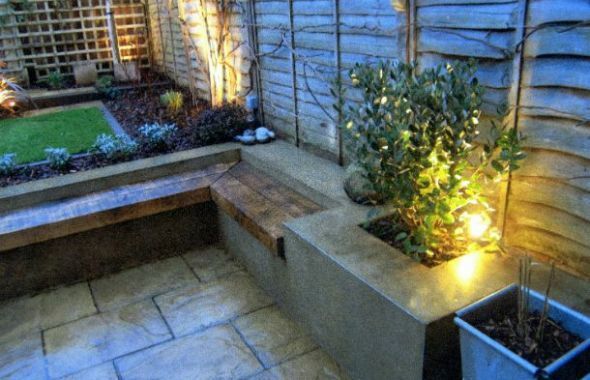 Existing– This medium sized London garden sits at the back of a large, semi-detached house. 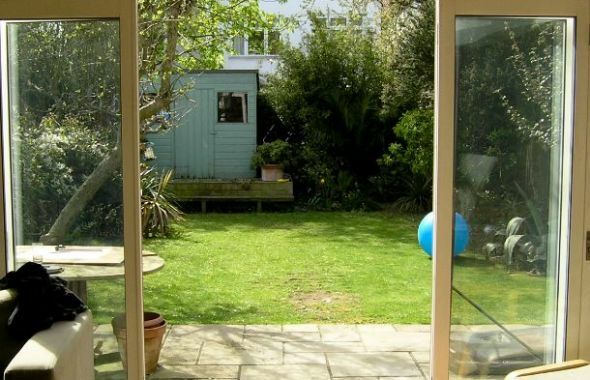 The garden was uninspiring, with tired planting, a worn-out lawn and was dominated by a large blue shed on a raised platform at the end of the garden. It looked small and dull and did not work. 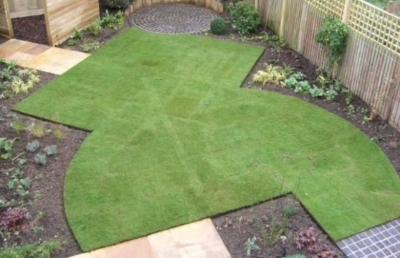 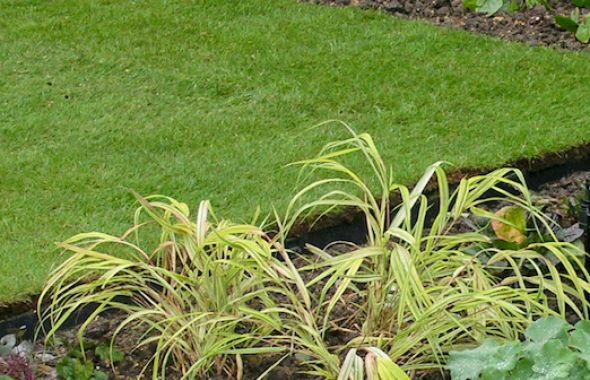 Brief – The clients, a professional family with teenage children, wanted an attractive, practical garden with room for entertaining, a good lawn and lush ‘English’ planting. 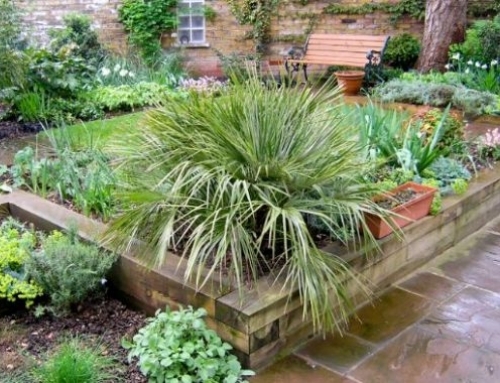 The husband’s exotic, architectural planting was to be banished to the front garden. They needed a bicycle store and a small shed. Solution – The new design is composed of a series of interlocking rectangles and circles, leading the eye across and down the garden. 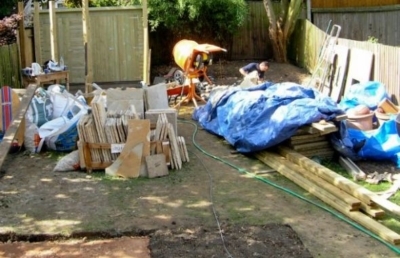 The old fences were restored with new trellis tops and completely replaced on the left side. Against the house, the wide patio doors open out onto an expanse of pale buff Indian sandstone laid in a random pattern, with plenty of room for a table and chairs. To the right a path of granite setts lead on to the lawn, separated from the main area of paving by a bed of largely evergreen, sun loving plants such as Euphorbia, Verbena, Heuchera and grasses. 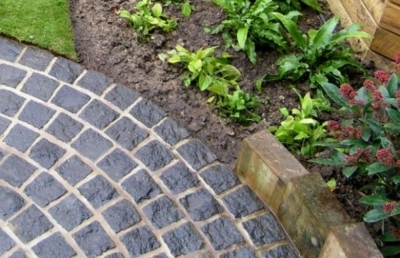 A circle of granite setts sits below the old purple Plum tree in the shadiest part of the garden. 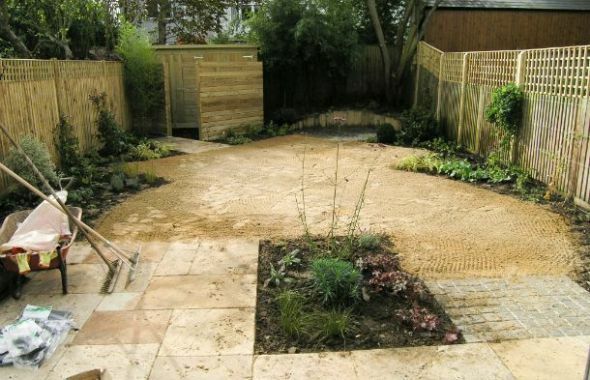 Backed by a retaining wall of vertical softwood sleepers this forms a semi secluded seating area away from the house. 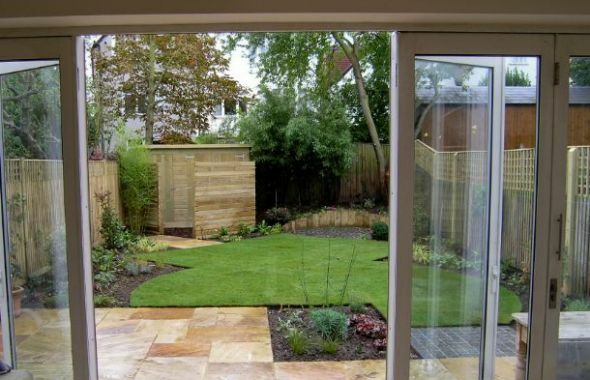 Beside an oak cube, a short path of Indian sandstone leads from the lawn through a screen of 100mm timber slats to the utility area, where bark chips are laid in front of the custom built shed and bicycle store. 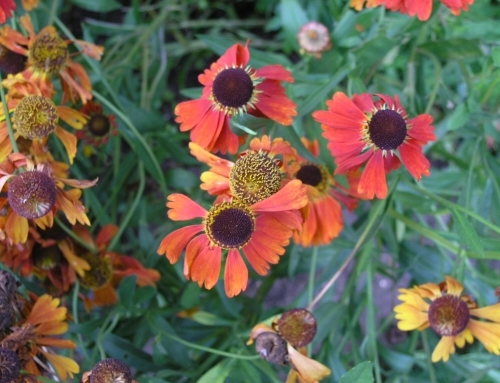 The planting has been chosen to be of year round interest and at the same time relatively low maintenance. The only plants kept from the original garden are a screen of Black Bamboo. 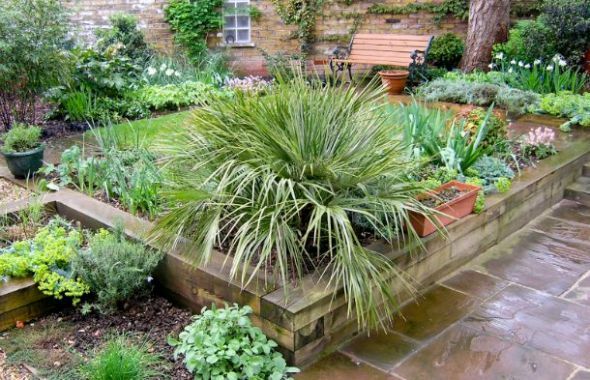 Other shade tolerant plants include a Box ball, Skimmia, Foam Flower, Periwinkles, Japanese Anemones and black Ophiopogon. 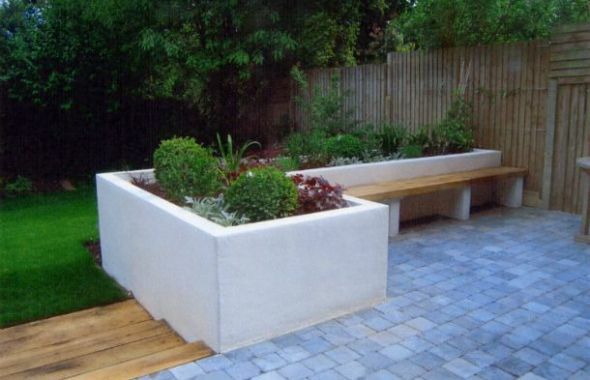 In the sunnier beds white Cone flowers, purple Verbena and blue Geranium complement a Buff Beauty shrub Rose, Lavenders, Grasses and blue Globe Thistles. 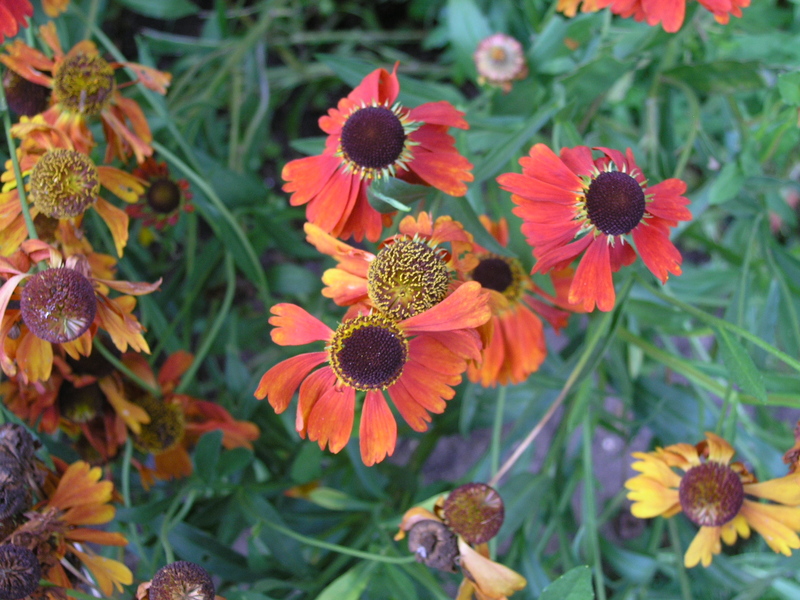 Daisy flowered Fleabane and Lamb’s Ears spread over the edges of the paving. 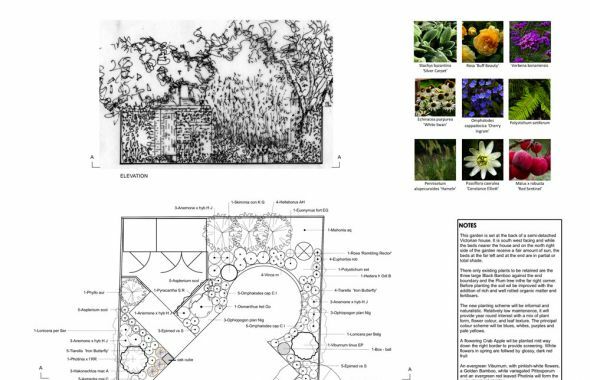 Blue and purple Clematis twine up the fences with white Passionflower, Roses and Star Jasmine. A complete family garden which manages to be both intimate and spacious at the same time.